The North Tyneside Business Forum has launched an all-new business news magazine “North Tyneside Business Update”, with a clearer and more business-focussed design. 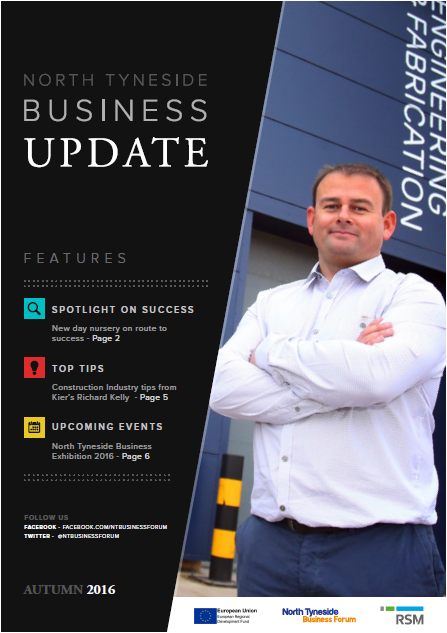 The Autumn Edition of your NEW Business Update is now live, and FREE! Inside you’ll see business news stories on local businesses, plus information and advice to help you in your day to day business life, like tips on tax from Business Forum Partners RSM.